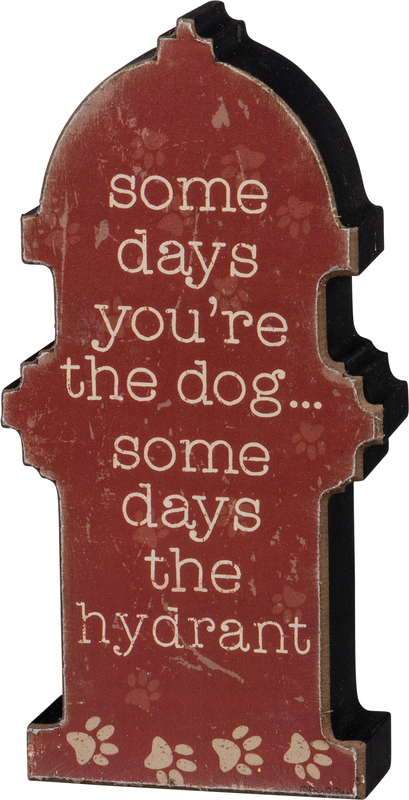 A rustic-inspired wooden chunky sitter in the shape of a fire hydrant featuring a "Some Days You're The Dog... Some Days The Hydrant" sentiment with paw print designs. Complements well with coordinating pieces in collection for a spunky pet display. Size: 3" x 6" x 1"